AUSTIN – Gov. Greg Abbott said Friday another special session of the Texas Legislature won't be necessary to deal with the response to Hurricane Harvey. "We won't need a special session for this," Abbott told reporters, noting that the state has enough resources to "address the needs between now and the next session." The Legislature isn’t scheduled to meet again until January 2019. Abbott has the authority to call them in the interim for special session lasting up to 30 days, as he did in July to address a 20-item agenda. Abbott also noted that state lawmakers have "smartly kept a lot of money" in the Rainy Day Fund, the state's savings account. The fund, which is largely made up of tax revenue on oil and gas production, was projected to have a balance of $10.3 billion at the end of August, according to a recent estimate from the Texas Comptroller's Office. 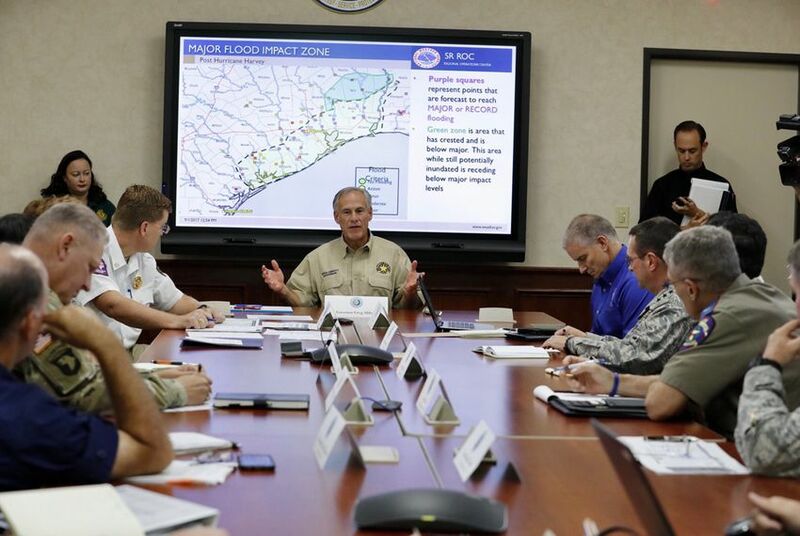 Abbott made the remarks during a news conference at the state's Emergency Operations Center in Austin, where he had received a briefing on Harvey. "My personal assumption right now is that we will probably be back in Austin at work no later than January," Bettencourt told the Houston Chronicle on Thursday. State lawmakers are already preparing to begin work on Harvey assistance before the 2019 session. In a letter to House members Wednesday, Speaker Joe Straus said he will soon issue interim charges to House committees to address the challenges created by Harvey. "Undoubtedly, the financial cost of rebuilding will be significant," the San Antonio Republican wrote. "The House Appropriations Committee will identify state resources that can be applied toward the recovery and relief efforts being incurred today, as well as long-term investments the state can make to minimize the impact of future storms."